String lights are one of the basics when it comes to holiday lighting. When planning your decorations check to make sure the lights you have or are purchasing are designated for the area you will be using them in, for instance only use lights that are marked for outdoor use for the outdoors. If you are uncertain whether your lights are for indoor or outdoor use you can check the tag, a red UL tag indicates the product is safe for indoor and outdoor use while a green tag indicates indoor use only. Inspect the string lights prior to using them, ensuring all the bulbs are working, if there is a broken bulb, unplug the lights prior to fixing it. LED lights are 90% more efficient than ordinary lights, they are lightweight, easy to work with, and come in a variety of colors and shades. If you want that warm glow for your lights make sure to purchase the warm not cool variety. A benefit to LED string lights is that they are cool to the touch when lit running on a lower voltage than other lights. The cost of running the LED lights is less expensive than other lights and they also are built to last longer. Whether you are hanging string lights, icicle lights, or other lighting features you want to make sure you are using the most appropriate hanging technique conducive of the light. Read any hanging instructions that come with the item. Most lights can be hung with the proper hook. 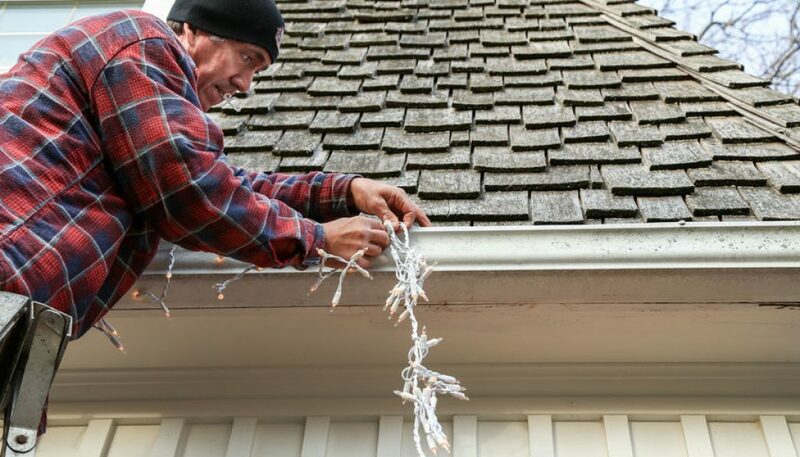 For string lights hardware stores sell hooks that will connect to your gutter or shingles and safely hang the lights. Never staple or nail in the lights as this may damage and expose the electrical wire posing a fire hazard. As we stated with string lights confirm the extension cords and outlet hubs are being used in accordance with their purpose – only use cords marked for outdoor use outdoors. Determine how much electric items the extension cord or outlet hub can support by looking at the markings on the item and make sure you don’t plug in more items the cord or outlet can handle. Also, prior to using the cords make sure they are still intact, there should be no rips or tears in the protective coating of the cord. When putting up you lights practice general safety guidelines and never replace bulbs or try to fix wires when the item is plugged in. Always turn off the lights prior to leaving the house or going to bed, investing in a timer may be a good solution. 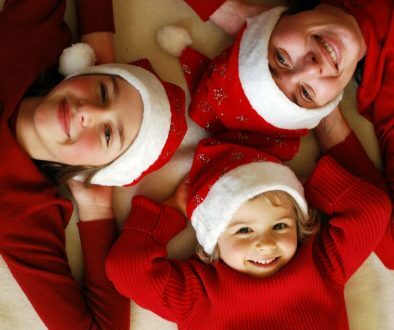 Planning ahead and keeping safety in mind will help ensure a fun holiday season free of incidents. From everyone here at Peterson Electric we wish you a safe and happy holiday season.